Since the Constitution came into force in 1789, it has been amended twenty-seven times to meet the changing needs of a nation now profoundly different from the eighteenth-century world in which its creators lived. In general, the first ten amendments, known collectively as the Bill of Rights, offer specific protections of individual liberty and justice and place restrictions on the powers of government. The majority of the seventeen later amendments expand individual civil rights protections. Others address issues related to federal authority or modify government processes and procedures. 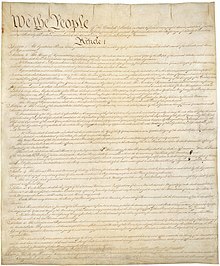 Amendments to the United States Constitution, unlike ones made to many constitutions worldwide, are appended to the end of the document. All four pages of the original U.S. Constitution are written on parchment. The first constitution of its kind, adopted by the people's representatives for an expansive nation, it is interpreted, supplemented, and implemented by a large body of constitutional law, and has influenced the constitutions of other nations. 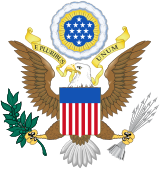 Article I of the US Constitution describes the roles and powers of Congress. In this video, Kim discusses Article I with scholars Heather Gerken and Ilya Somin.